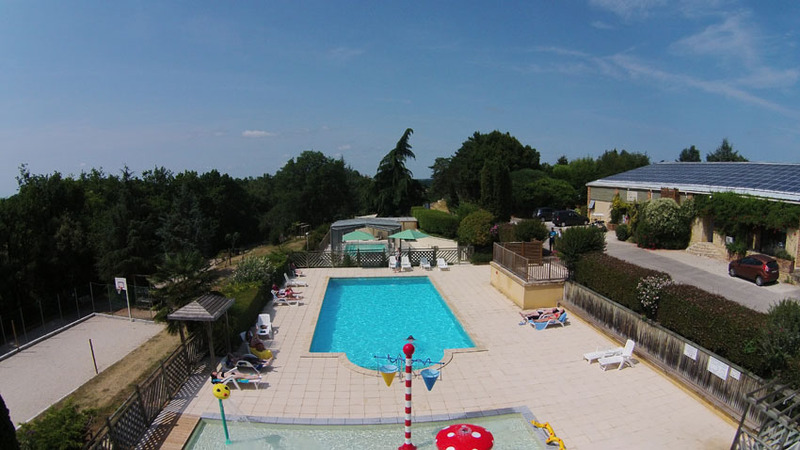 Intro by Campsite... 'Les Terrasses du Perigord is above all a unique place in the Dordogne, this 3-star camping site and vacation rentals, close to the famous medieval town of Sarlat (2 km), offers one of the most extraordinary panoramas of the region. Situated between the Dordogne and Vézère valleys, the site has a breathtaking view of the landscape, rivers, castles around Sarlat area. The campsite is near the caves of Lascaux, the most important site in the world of Prehistory in Les Eyzies-de-Tayac (listed site at UNESCO), the castles of Beynac, Castelnaud, cities and walled towns of La Roque Gageac, Domme, and Eyrignac and Marqueyssac gardens .